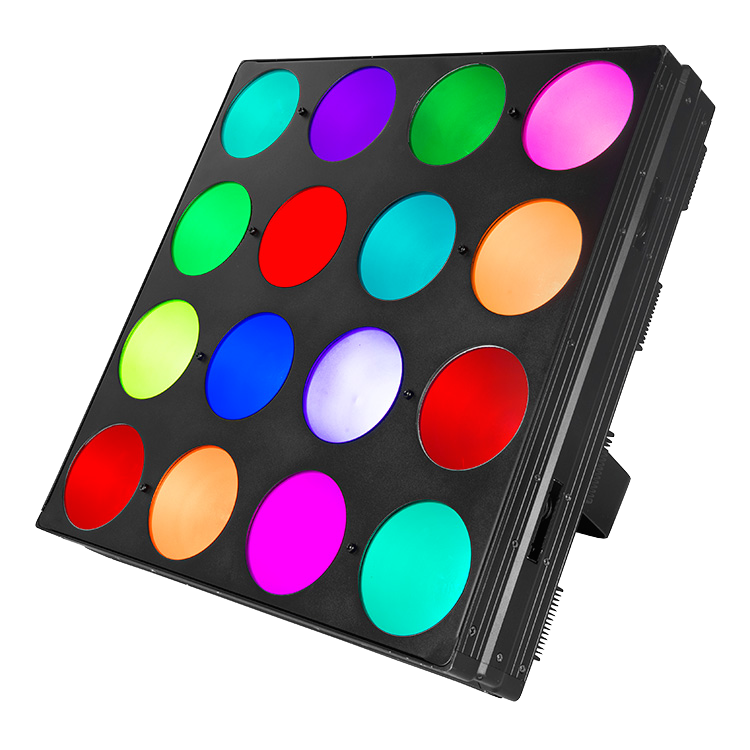 2013 Parnelli Award winner for Indispensable Technology in the lighting category, Nexus™ 4×4 is both a bold eye-candy and a tour-ready wash light, capable of delivering at once the sizzle of a pixel mapping display and a robust light output afforded by 16 27-watt RGB COB LEDs . The combination of COB emitters and a clever reflector design yields a striking, diffused light richly drenched in saturated hues. Nexus™ 4×4 is controllable via Art-Net, Kling-Net and DMX protocols and features interlocking hardware to build large arrays. Whether in use for front viewing or as a backdrop, Nexus™ 4×4 promises a hard-to-match visual impact.